TIME TO CAN THE CAN…. CAN? An exercise in transplanting the art of the street, and the strands of street art’s associated culture, in to the gallery environment, especially the slightly alien Vyner Street environment, our not so alien, rather uniquely positioned, corner space and our ever open street-level front door. 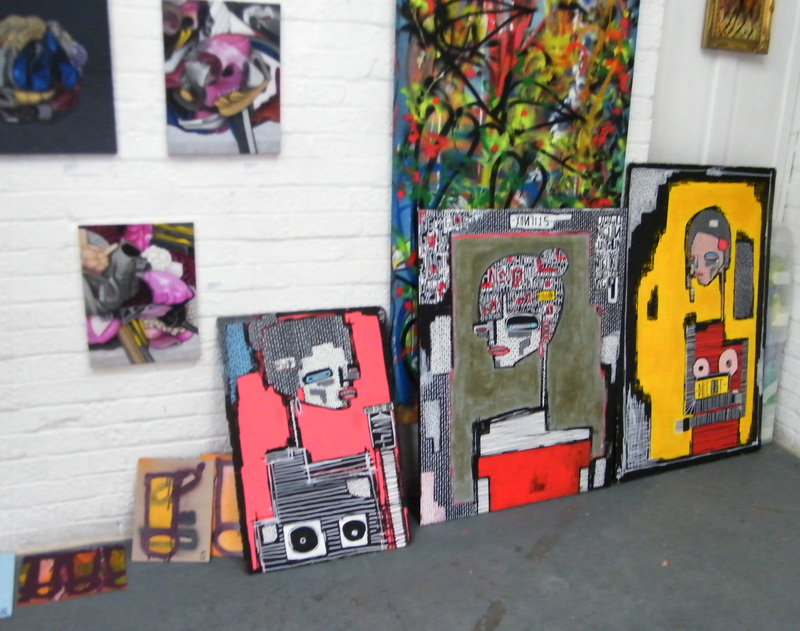 Three ALO pieces arriving for the Can show…. 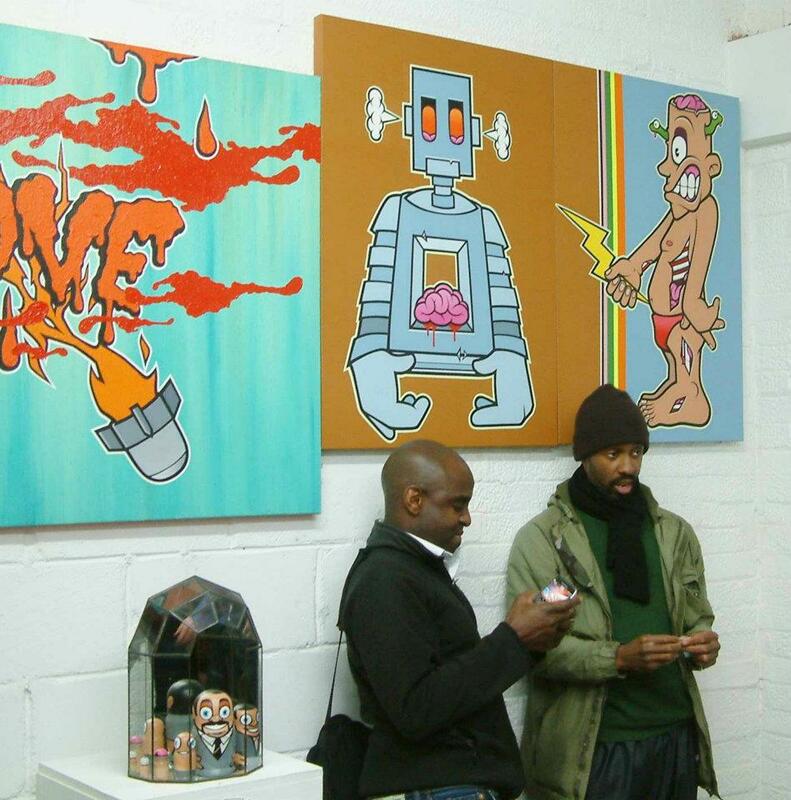 This time we intend filling our (almost on the street) gallery with art that’s flavoured by the influences of the street, made with the street’s (now traditional?) media – with the narks made with spray cans, the creative use of stencils, the notions of print, pop art, sticker art and such, Can? will partly be about questioning what street art is, questioning if it should be in the gallery by placing it in (and around) a gallery that is very much on a street and just one step off the pavement through our open door. 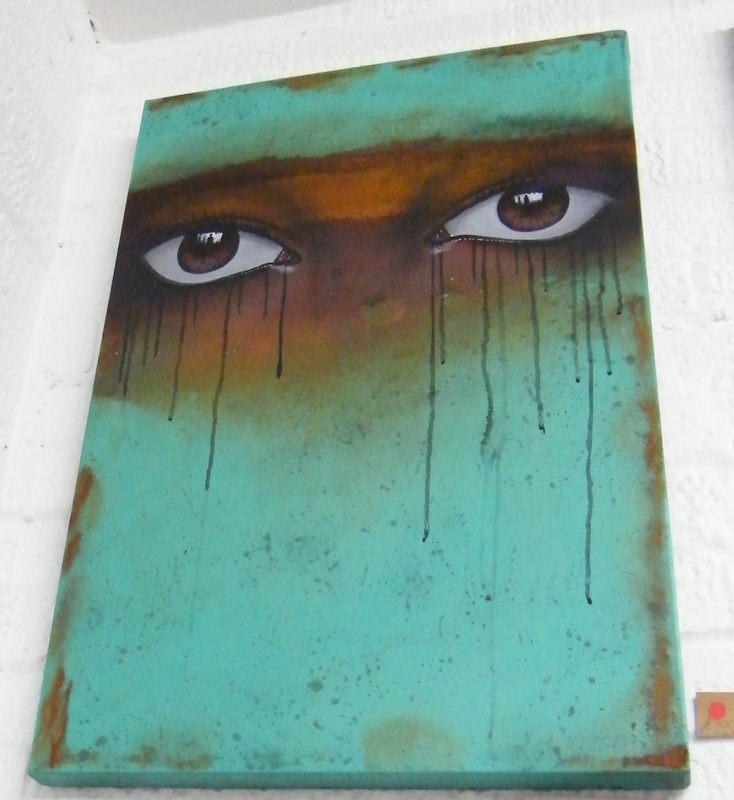 Framed D7606 piece ready for the show…. Street art culture, graphic flavours, spray can marks, stencil work, sticker art, contemporary pop art, recycled and maybe even the strange notion of a paibt brush or two? Can we? 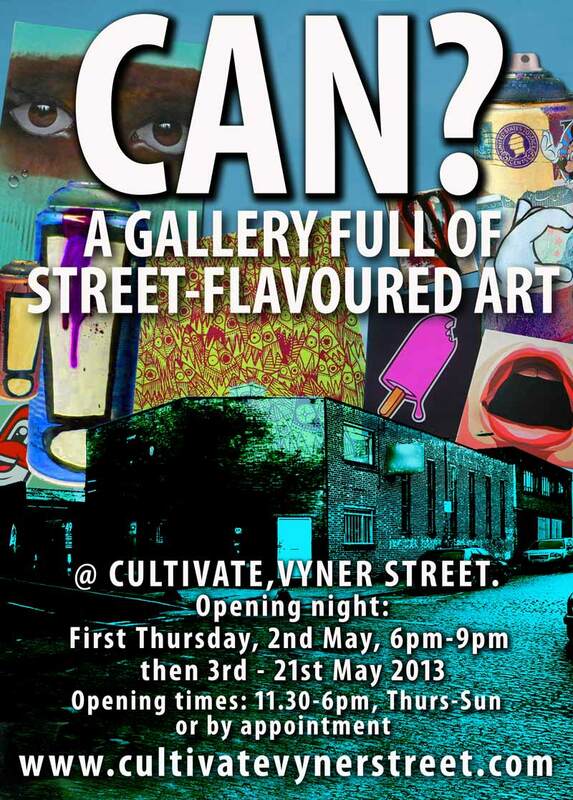 We open at 6pm this Thursday evening, as part of First Thursday…. 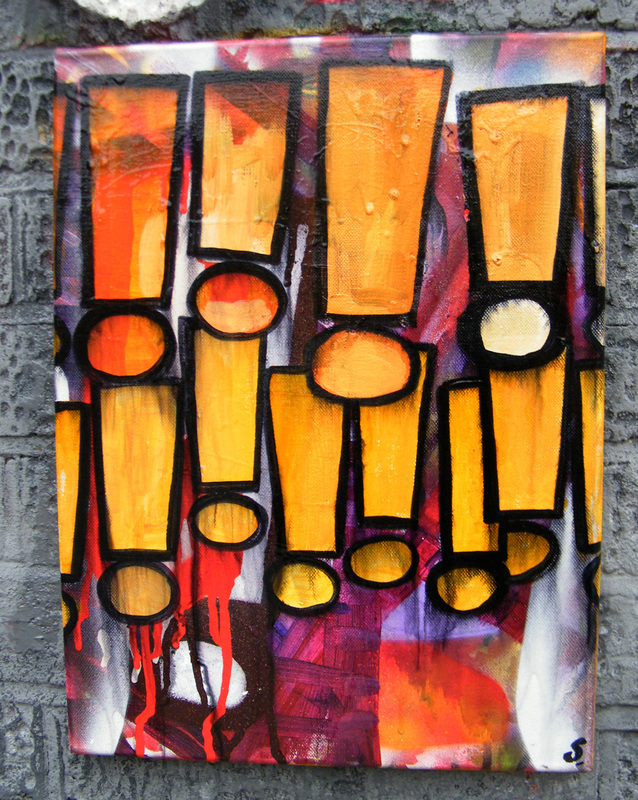 Fresh exclaiming for the Can show…. MYDOG SIGHS eyes. what wilj he bring along this time though? ← WHAT’S HAPPENING THIS WEEK? Paintings, guests, and getting ready for CAN?